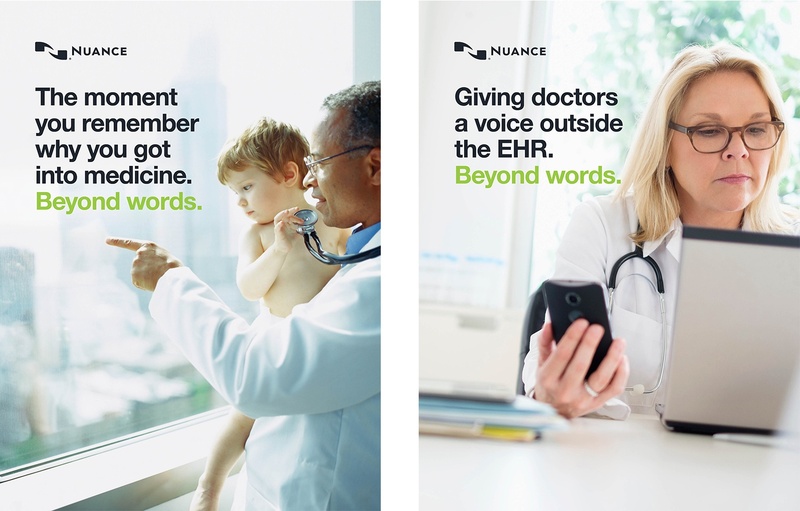 How White Rhino helped Nuance Healthcare build brand awareness and trust with C-level hospital decision makers. From a house of brands to a branded house. 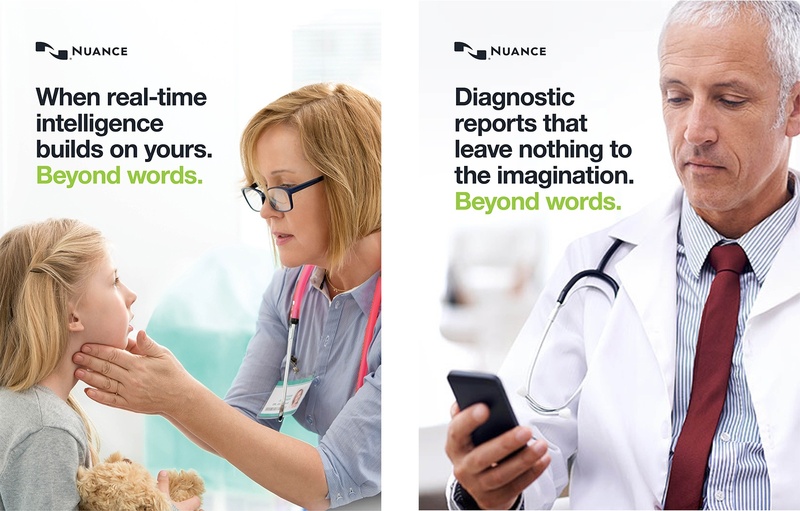 Nuance, the leader in voice recognition software, enjoyed a heavy market share among healthcare organizations. But most customers were only familiar with its individual products like Dragon Medical, PowerScribe, and JA Thomas. 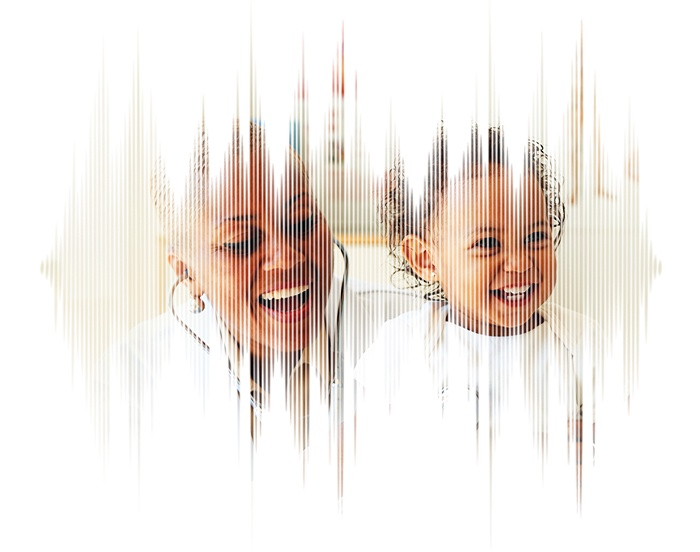 To raise awareness of its broader portfolio, the master Nuance brand needed a way to connect emotionally with its audience. 9 in 10 physicians say they wouldn't recommend medicine as a profession. They told us they were desperate to get out from under increasing administrative burdens and back to the art of medicine. And our research showed that our CIO and CFO decision-makers also feel the pain of physician dissatisfaction. 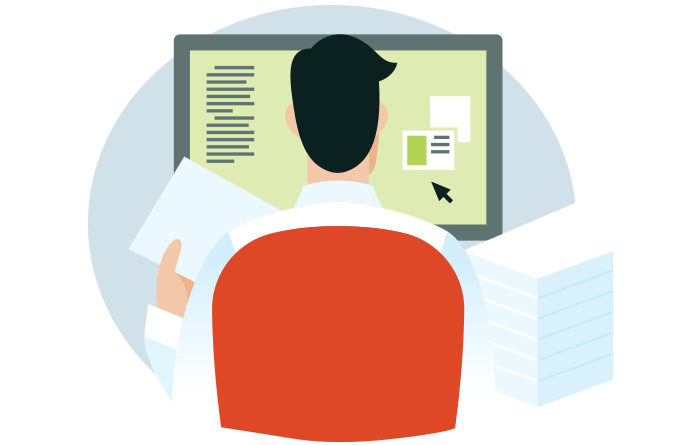 If clinicians are not happy they cannot effectively support the organization's documentation needs – not to mention the overall mission of providing great care. 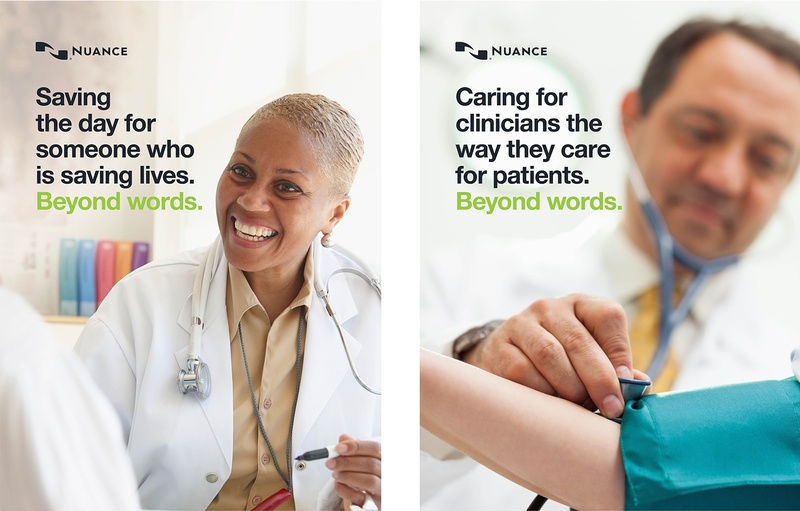 A physician experience so improved it's "beyond words"
This creative platform allowed Nuance to target physicians and C-level decision makers at the same time. The "beyond words" campaign messaging served as a flexible and scalable platform that could be executed many different ways with varying headline treatments. It also served the important dual purpose of communicating that Nuance offers more than just a speech platform but a complete portfolio of health IT solutions. During ideation White Rhino also prototyped a simple digital mobile app to measure physician satisfaction before and after a Nuance implementation. A 12-month media plan featuring original and sponsored content—such as digital ads, print ads, social media posts, explainer videos, infographics and more—allowed Nuance to tell its story across multiple channels.